﻿ Best Price on Aparta Hotel Bruno in Boca Chica + Reviews! Aparta Hotel Bruno is just a 5-minute walk from Boca Chica Beach, and has an outdoor pool, sun terrace and free Wi-Fi. Each air-conditioned studio offers views of the garden. Studios at Aparta Hotel Bruno feature bright, functional décor and cable TV. 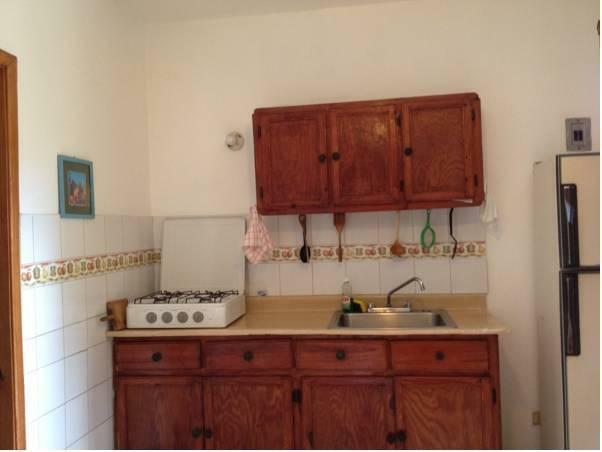 All studios have a bathroom with a shower and a basic kitchenette with a gas hob and fridge-freezer. Aparta Hotel Bruno has a café-bar and offers communal BBQ facilities for guests. A range of local and international bars and restaurants can be found within a 5-minute walk. Free private parking is available at the aparthotel. Las Americas International Airport is a 15-minute drive away, while Santo Domingo is a 20-minute drive away.